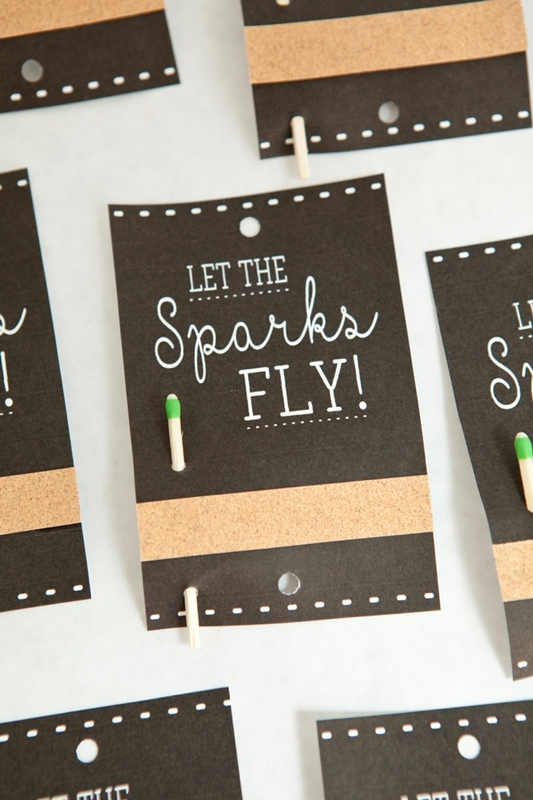 Make these adorable Wedding Sparkler tags + sign for free! 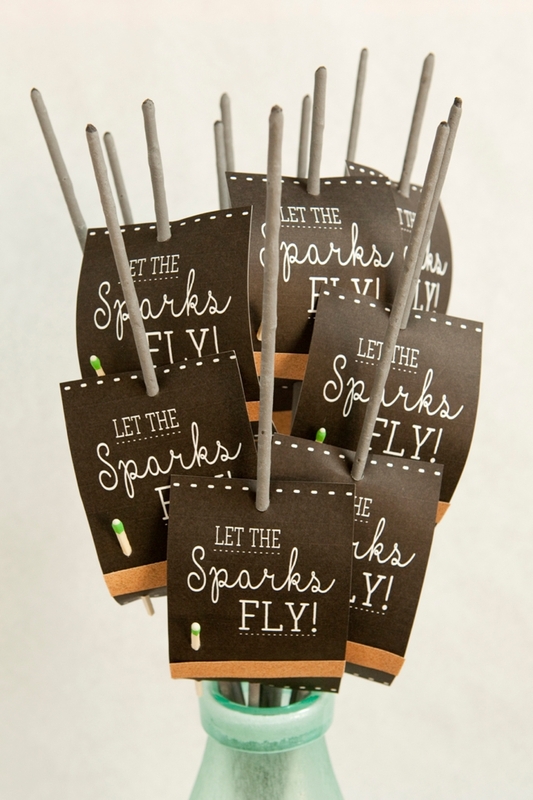 I’ve been wanting to share a wedding sparkler project for a long time now, and so I figured that today was the perfect day to do so! 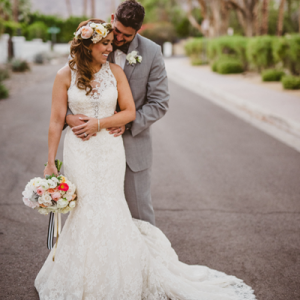 This send-off trend has quickly become a tradition, because it’s interactive, it makes for some awesome pictures, and it gives a sense of closure to the day. 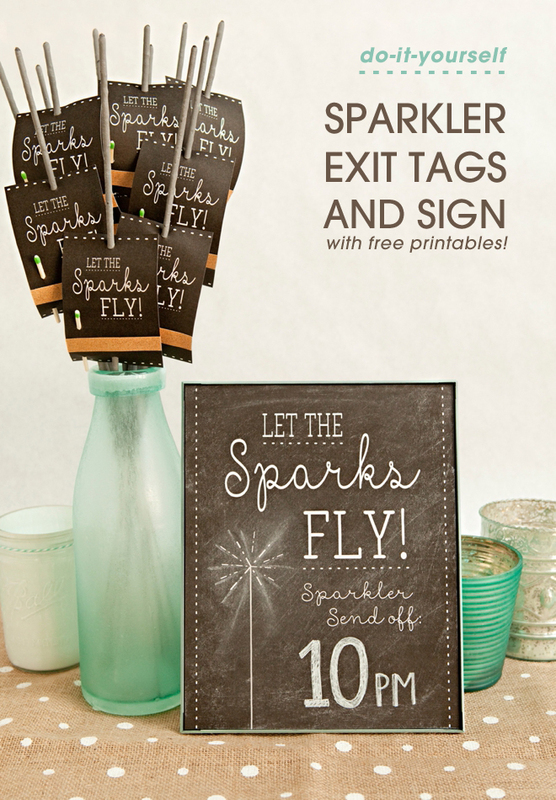 The logistics for having 100ish people lighting sparklers all at the same time can get a little tricky, so I hope that this Sparkler Exit Tag + Sign idea will help you out. 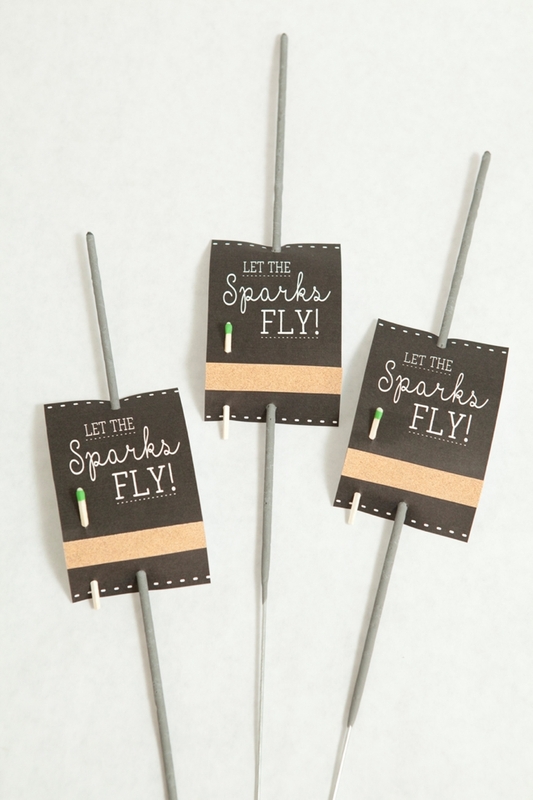 The use of “strike anywhere” matches and a little strip of sand paper make lighting these beauties a total breeze… so your guests can easily let the sparks fly! 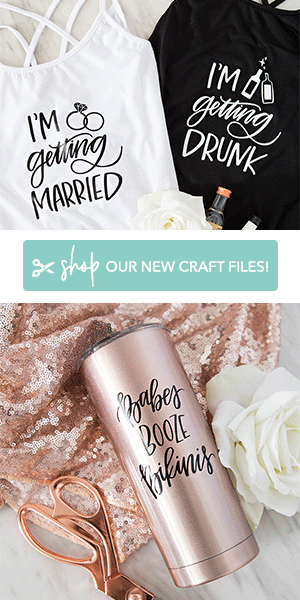 First thing’s first; download and print our free designs onto 8.5″ x 11″ white cardstock… make sure to choose “print actual size”. 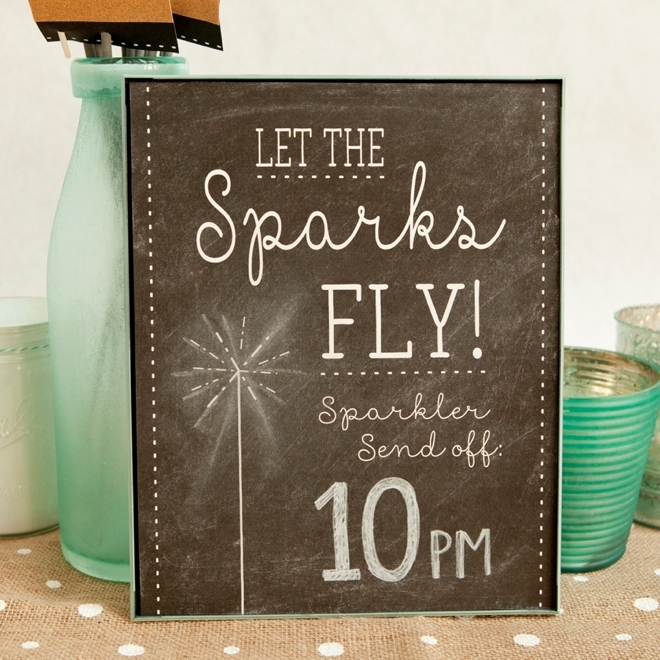 Now we are going to make the sign look like it’s a chalkboard – even though it isn’t. 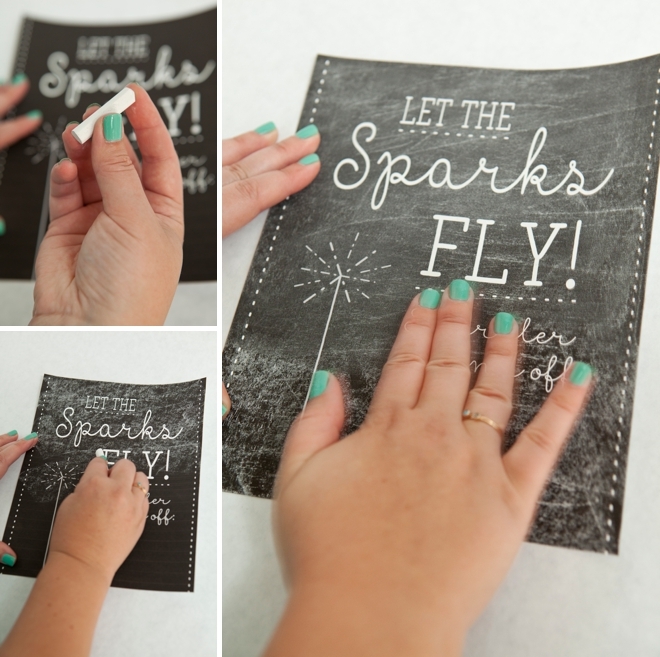 Simply rub chalk all over the paper and wipe it around. 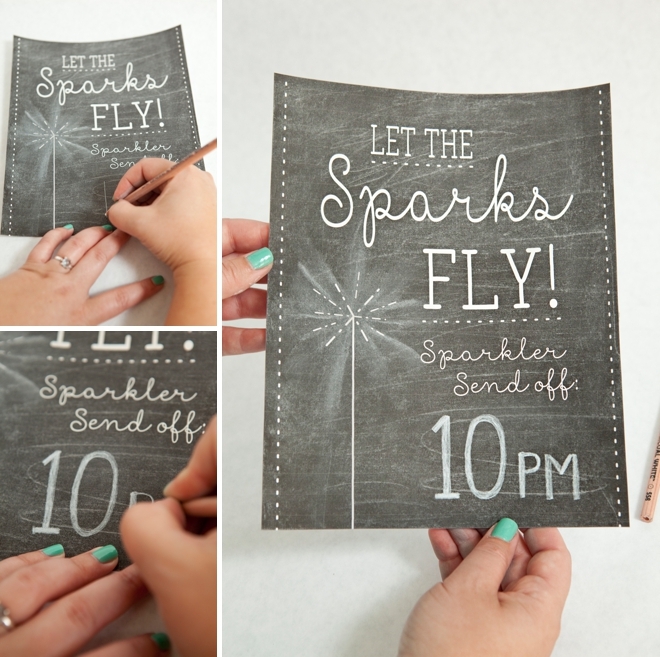 To make the sparkler “stand out” and look like it’s got some smoke going on… trace it in chalk and wipe away. Fun right!? 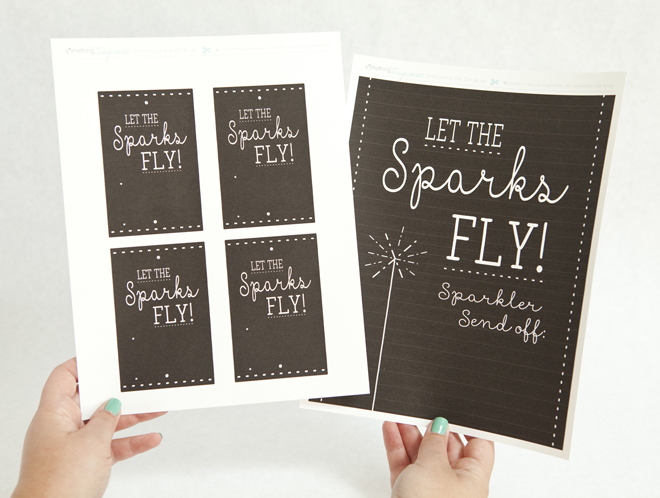 In the empty space provided – fill in your sparkler exit time! 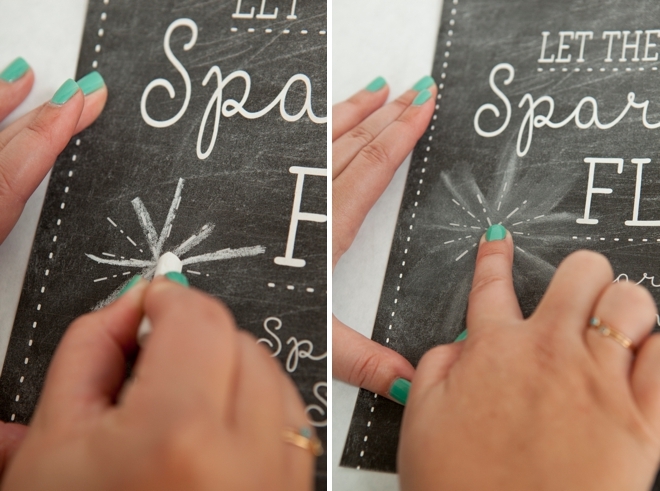 I used this awesome chalk pencil that I purchased on Etsy, which was so much easier than a regular piece of chalk. 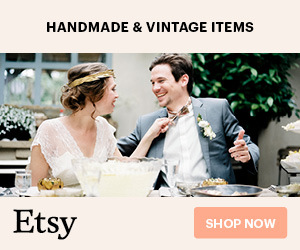 Your sign is now complete so you can frame it. Next up, the tags. 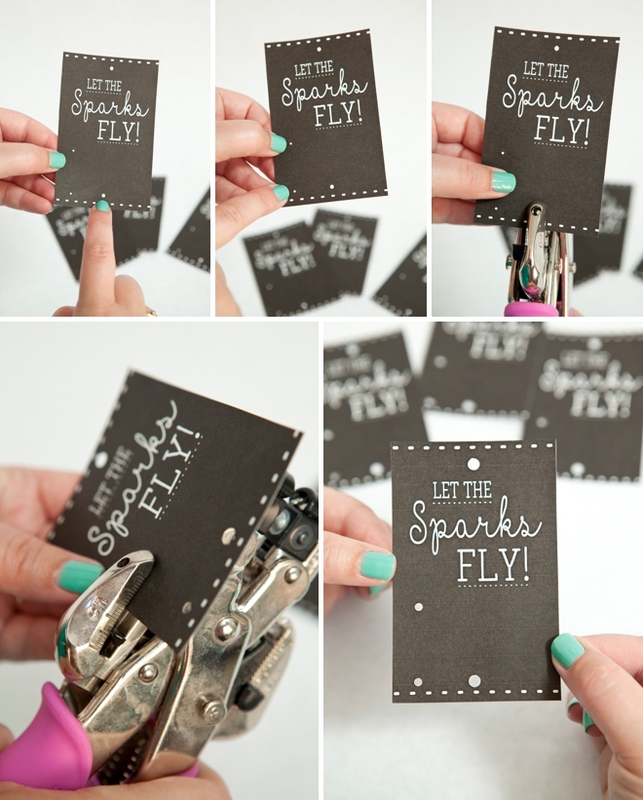 I’ve added little circles in the design to show you where you need to hole punch. 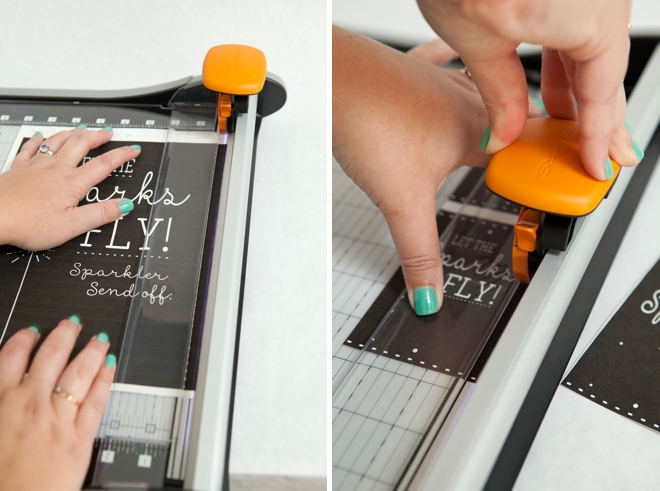 I’m using my favorite Crop-a-Dile punch, so I can do like 10 tags at once – but you can also use a regular hole punch. 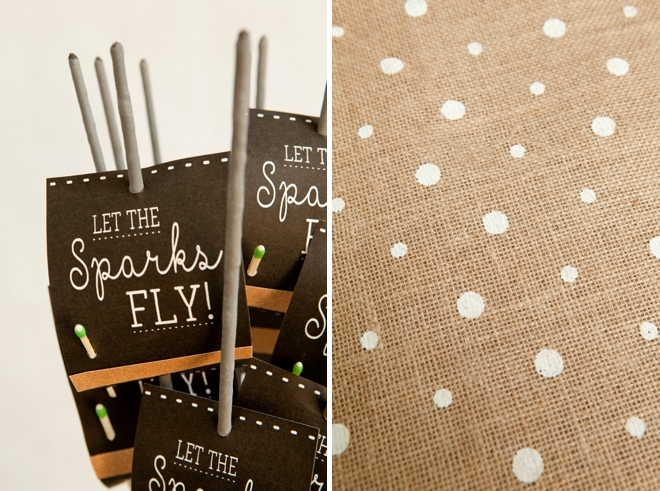 These holes are for the sparkler and the match; 4 total. 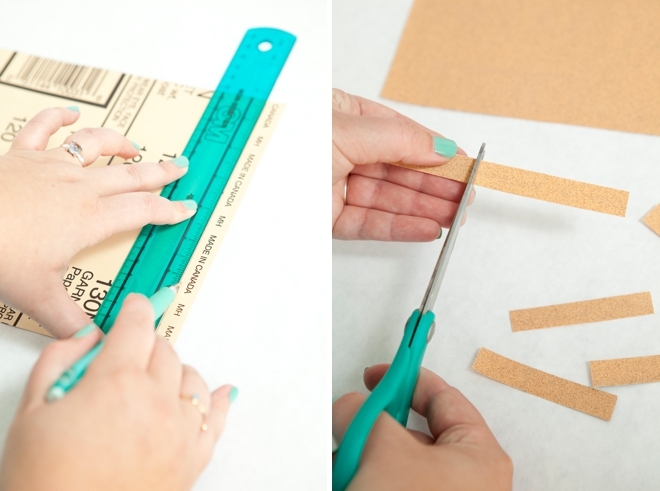 Measure and cut 1/2″ x 2.75″ strips of sandpaper. Here I’m using old, funky kitchen scissors that we open packages with… don’t use your fancy ones! 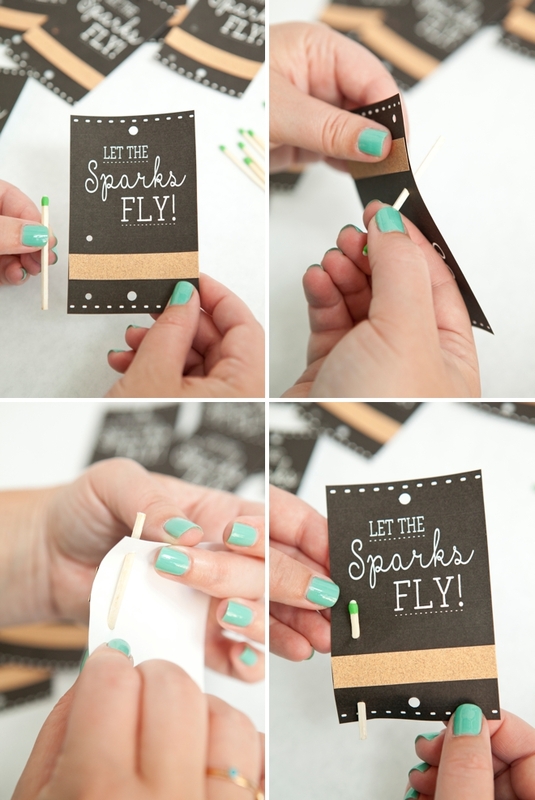 Next, glue the strips of sandpaper to the empty space in the tags – this is what your guests will strike their match on. 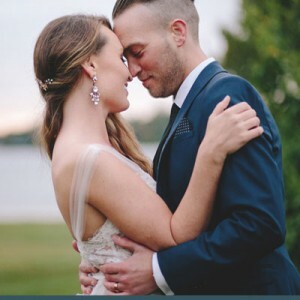 Add your matches! 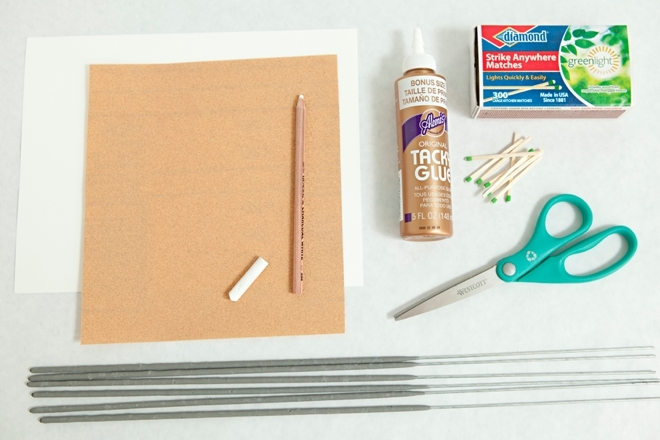 It’s so fun when they finally start to come together… remember you MUST use the “strike anywhere” matches – regular matches won’t do. 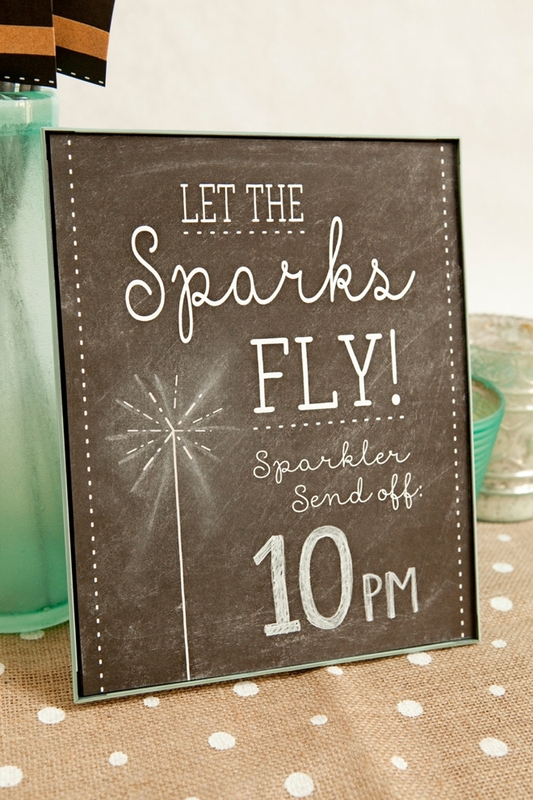 The thought here is that if each guest has their own sparkler and match – they can all easily light them at the same time. 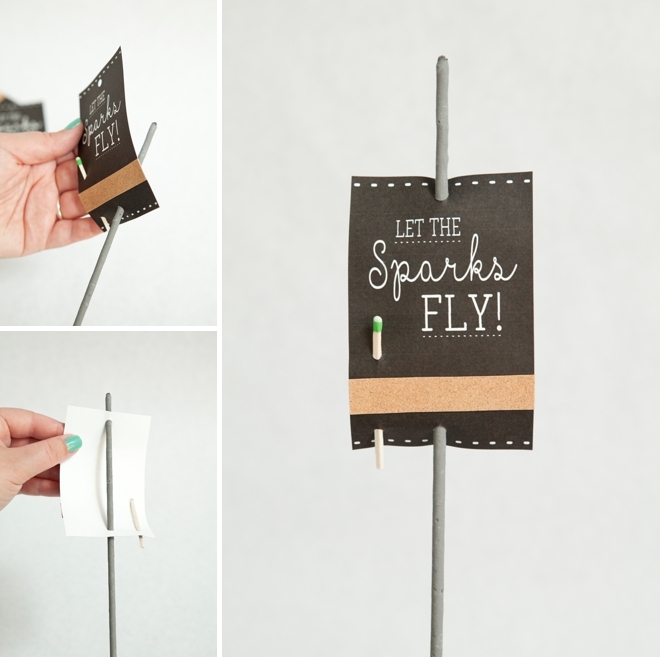 Instead of sharing a lighter or leaving a jar of matches next to the sparklers, this is so much easier and it’s freaking adorable! 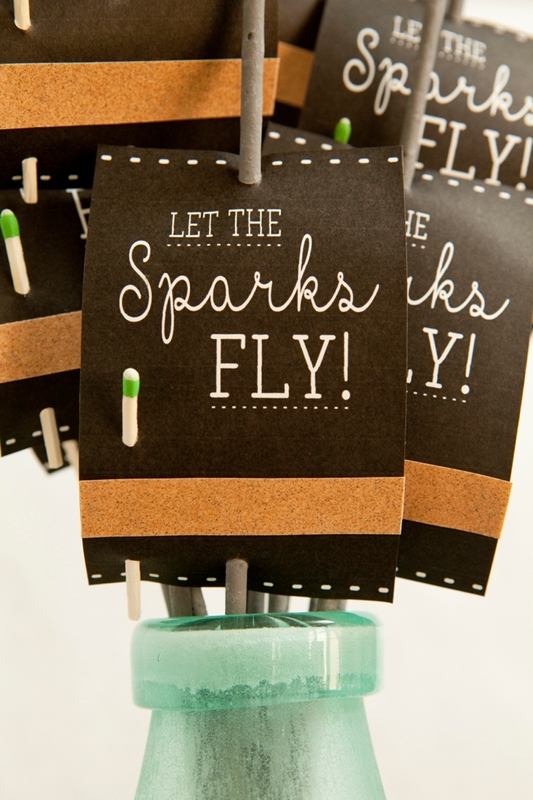 The last step is to add the tags to each sparkler. 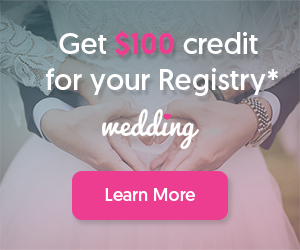 If doing this before your event, you’ll want to store them all flat in a large shipping type box so that none of them get ruined. ***And don’t worry about the matches striking accidentally, it totally won’t happen. 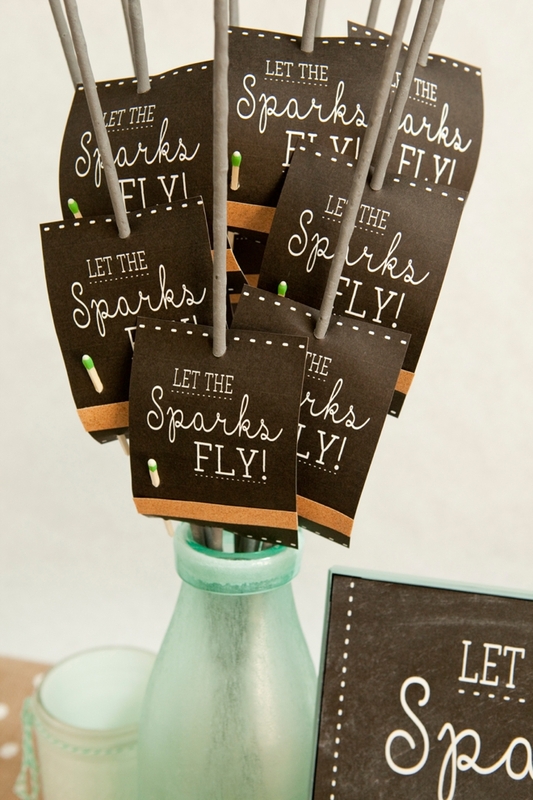 Display at your reception in a large jar that won’t be pulled over by the 17″ sparklers. 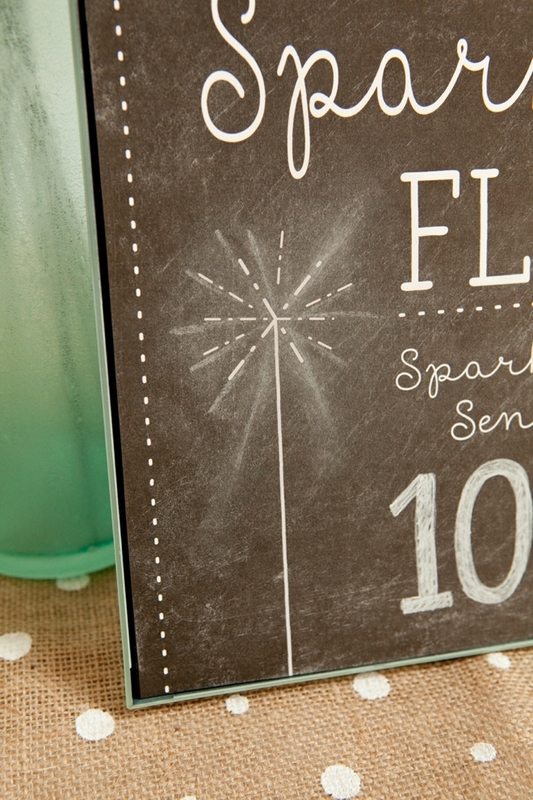 I love this “faux” chalkboard technique.